So far, over a 150 researchers from academia and industry are taking part in HERALD and we welcome new members. If you would like to take part, please sign up here. Within HERALD, the ECI (Early Career Investigator) network aims to promote the next generation of young ALD scientists and help to establish themselves as research leaders in the ALD community. If you want to become a member of the HERALD.ECI network, please contact the ECI committee at heraldeci@gmail.com and join our HERALD.ECI group on LinkedIn. Broadening out the COST definition of ECI, we welcome investigators from within a year of submitting their PhD dissertation to PhD +10 years. 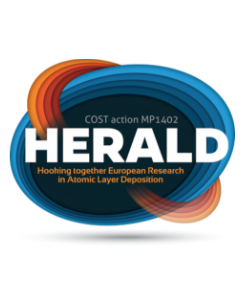 The main objective of this 2nd HERALD.ECI Workshop with hands-on training is to create an ignition point for competitive proposals resulting in joint, EU-funded research projects under ECI (early career investigator) participation or leadership. The online registration is now open until February 15, 2018. Click here for more information.